Interested in Riding Bicycles in Crozet? 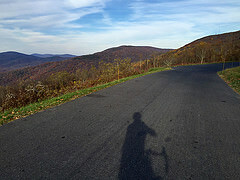 Crozet is a great place to ride a bike. I’ve ridden a bicycle for a couple years now, and have found group rides to be a great way to ride – for community, camaraderie, pushing each other a bit, and pastries at the end of the ride. If you’re interested in riding for an hour each week with a few folks, please click through to the google form. If we have enough interest (and accommodating weather, maybe we’ll go next week). I promise nothing other than I’ll try to organize as best I can. I’ll put together a google group or something as we go.